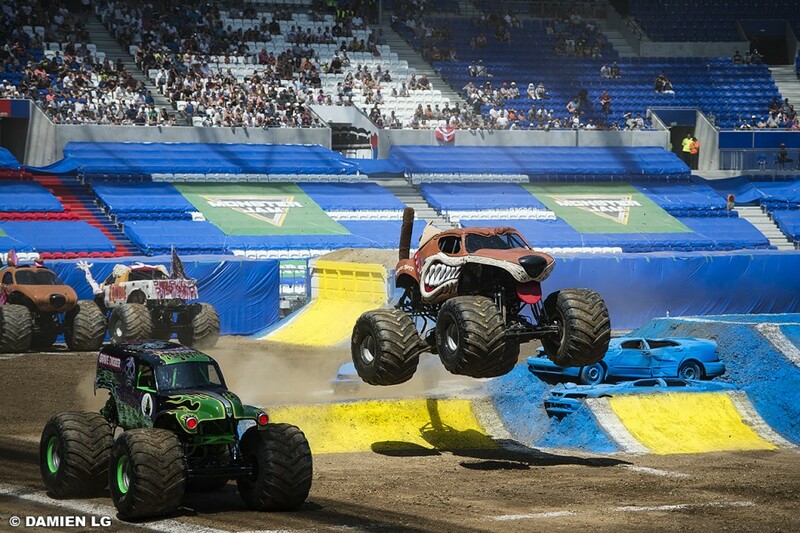 Monster Jam: a mind-boggling show ignites the audience at the Parc OL! 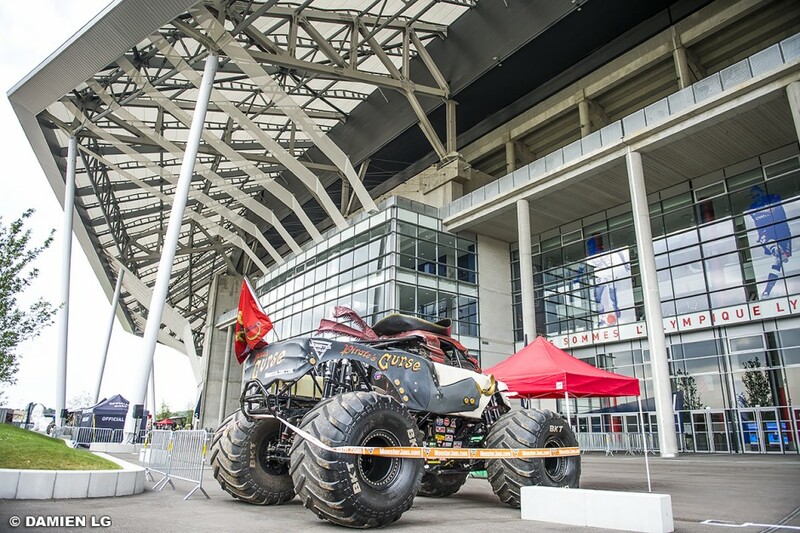 Last Saturday, the Parc OL hosted a massive event never before seen in Lyon: Monster Jam: a unique display of Monster Trucks that delighted tens of thousands of viewers in Lyon’s stadium. 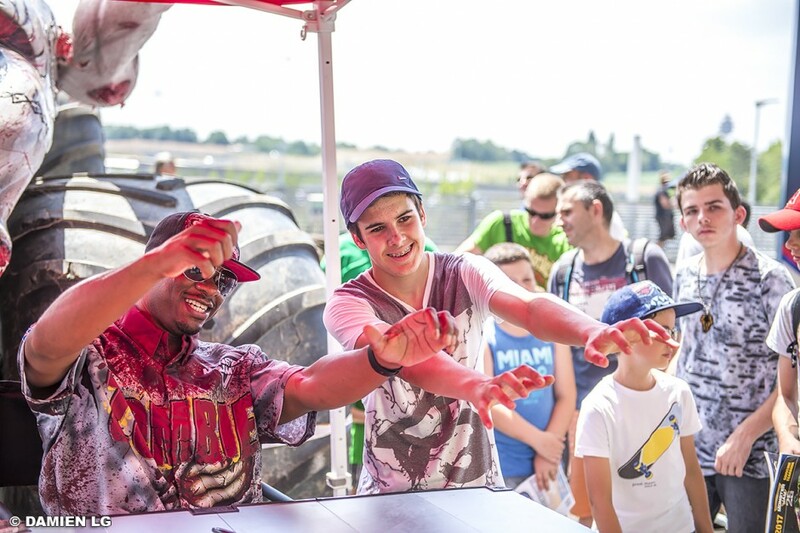 A foretaste of the event took place on Saturday morning in front of the Parc OL. 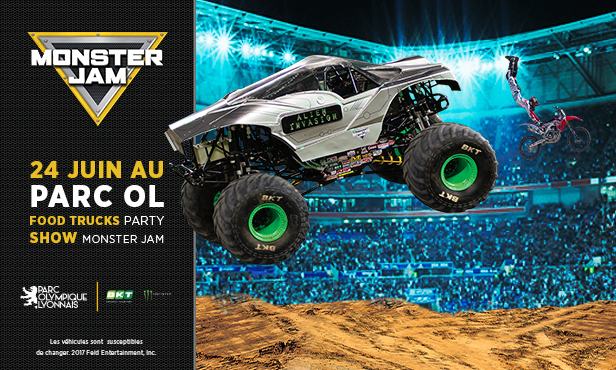 During the Paddock Party organised right around the stadium, drivers and vehicles hosted those who had come en masse to help with a performance never before seen in Lyon: Monster Jam. It’s a show that’s very popular in the USA and which has taken a day to travel from the other side of the Atlantic to dazzle French and European fans. 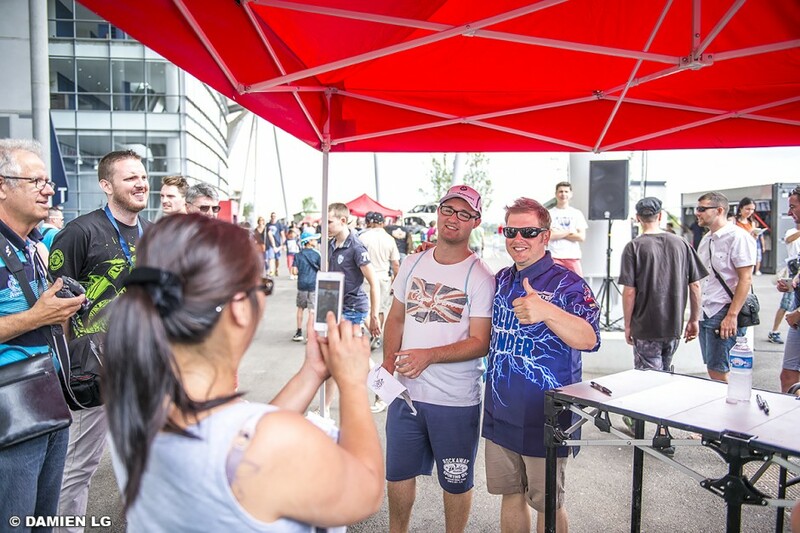 An autograph session, photo opps with the show’s heroes and their trucks, each as impressive as the other… the fans took part in an unforgettable parade. 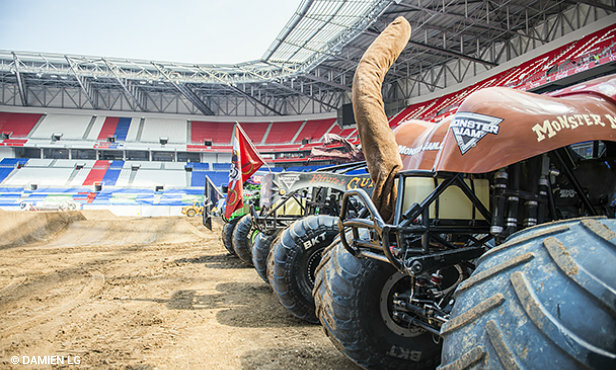 Ten years after their first foray into France, Monster Jam has once again given those present in the stands a real treat. 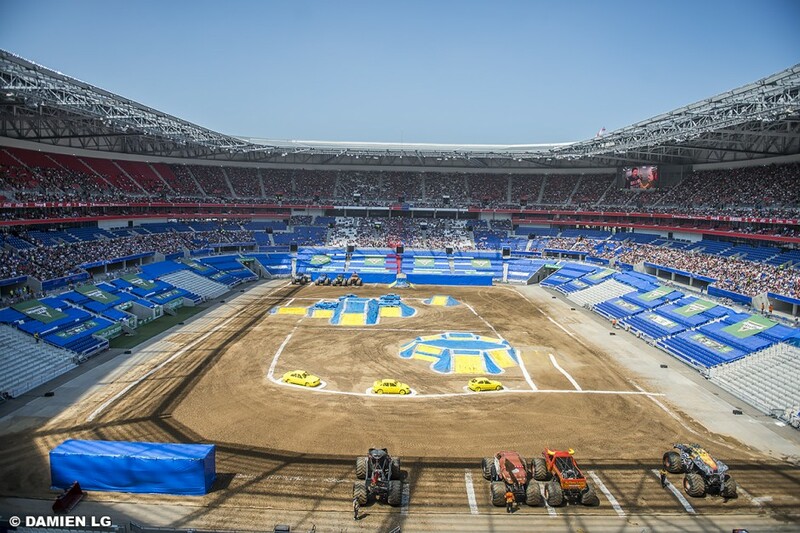 With the show divided into three parts, the Parc OL was able to take the whole spectacle in. 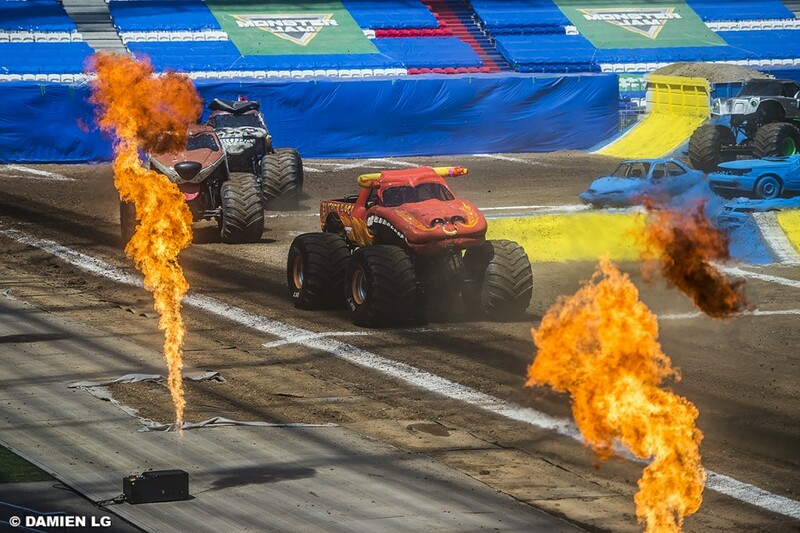 The first was called Monster Jam Racing, where the ten drivers and their vehicles fought a fierce battle in the form of doing elimination races that saw the legendary Charlie Pauken and his Grave Digger, the fans’ favourite, forced into retirement after a transmission problem, while Steve Sims and his Pirate’s Curse were disqualified following a spectacular fall. The eight others fought for a place in the semi-final. Chad Tingler’s Alien Invasion, Becky McDonough’s El Toro Loco, Neill Elliott’s Max-D and Bari Musawwi’s Zombie got the better of Cynthia Gauthier’s Monster Mutt, Myranda Cozad’s Scooby Doo, Alx Danielsson’s Blue Thunder and Coty Saucier’s Monster Energy. And after some intense semi-final action, Zombie took out this first round of Monster Jam against Max-D.
From the yard came a thump, the cheers of the audience and an interlude performed assuredly by the freestyle Motocross riders, the first part involving mid-air flips before they got on with the Wheelie session: a test of skill where the riders had to keep their balance on the wheels of the Trucks and where the public nominated the winner as well as the rankings through a one-to-ten voting system. There followed a new contest, marked by some awesome jumps, including an amazing one from Pirate’s Curse: a breathtaking piece of air time that not even Zombie, the crowd’s new favourite after Grave Digger’s retirement, could match. Pirate’s curse thereby won this second round with a crowd vote of 9.386. 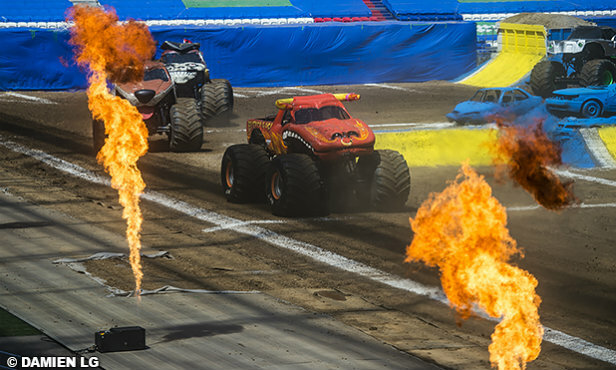 Le #MonsterJam s'achève après une session de freestyle incroyable ! Merci à tous les pilotes pour ce show !!! 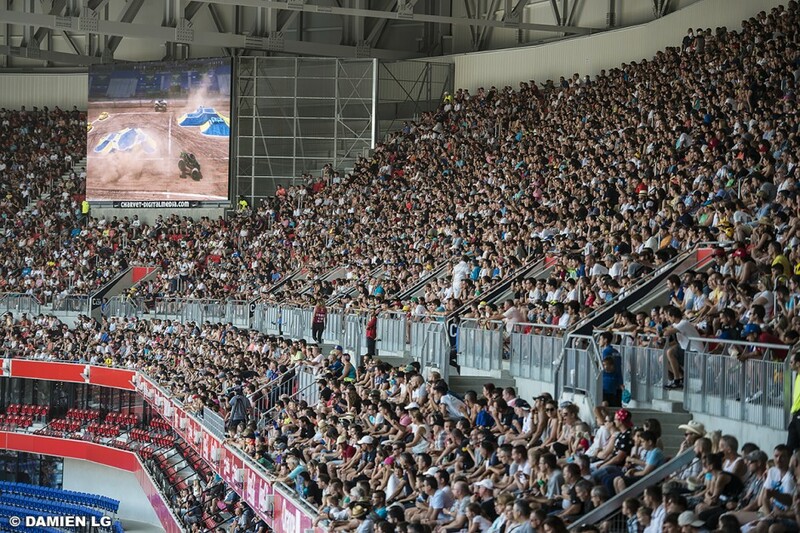 But the moment that everyone had been waiting for, drivers and spectators alike, was the Freestyle session: the show’s climax where each Monster Truck went for a run during which they had to pull off their best moves. 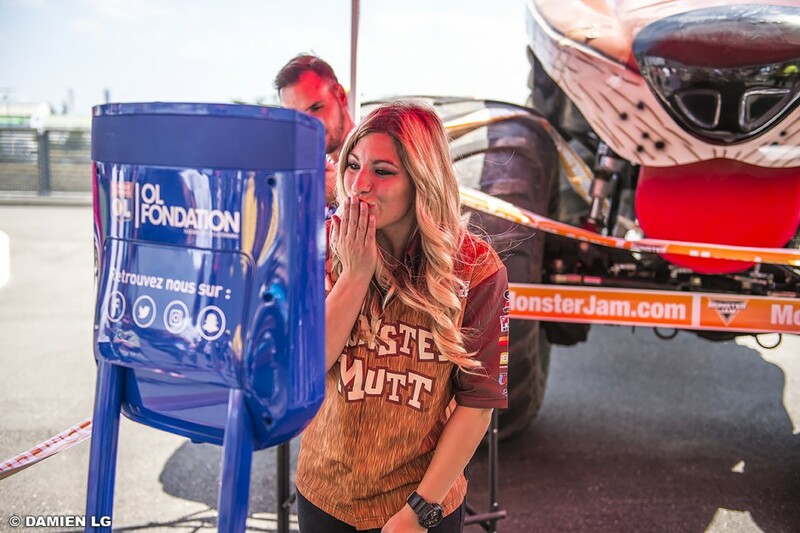 Back flips, driving on one wheel, pulling stunts on the dirt mounds and crushing other vehicles set up in the stadium… It was a blending of figures where Cynthia Gauthier and her Monster Mutt led the race for a long time but were eventually overtaken by the boss: Charlie Pauken. 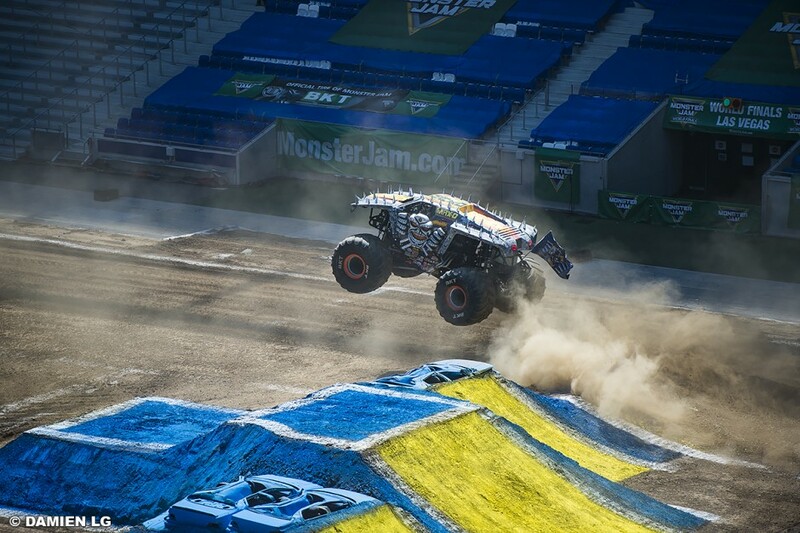 By the end of this mind-boggling finale, Monster Jam’s superstar had put in a remarkable performance on his comeback and earned himself a standing ovation from the whole of Parc OL. 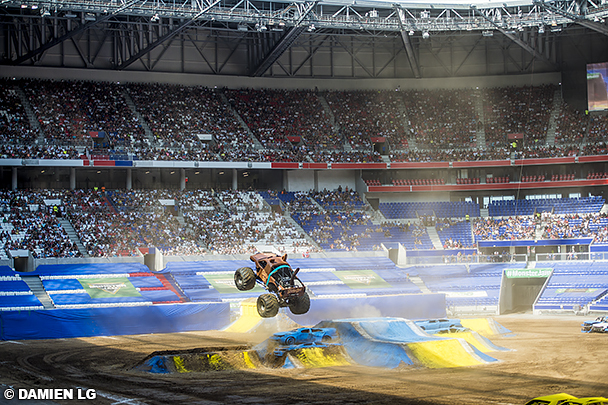 Everyone was pleased to have been able to take part in this incredible show, as Chucky Dance proved on the roof of his engine, having taken third place overall in this amazing comeback, behind Becky McDonough and Bari Musawwir, grand champion of this Monster Jam in Lyon that turned out to be a huge success.